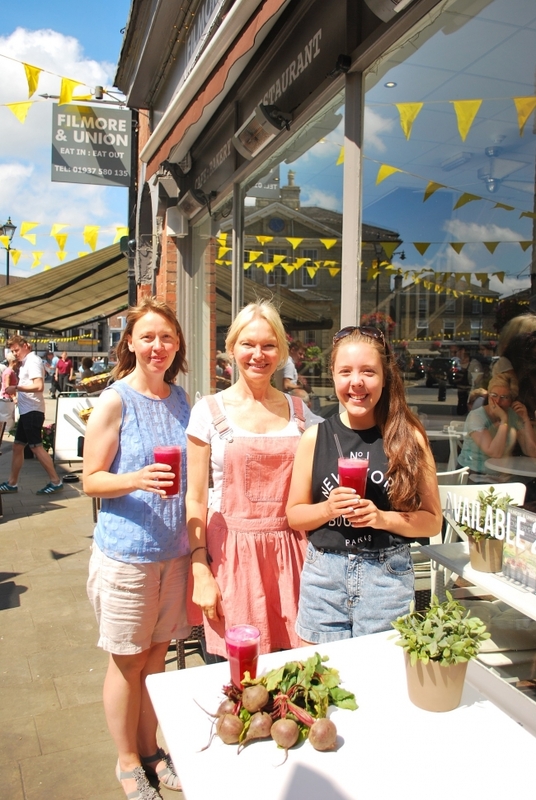 Wetherby healthy food restaurant, Filmore & Union, has created a special fresh juice in a bid to raise awareness and funds for a potentially life-changing new vaccine which could treat, prevent and possibly cure the digestive illness Crohn’s Disease. The juice, which is purple to represent the official colour for Inflammatory Bowel Disease awareness, was created after 17-year-old Hannah Stone approached Filmore & Union and asked them to support her and her family on their mission to raise awareness and funds for the Crohn’s MAP Vaccine, which has been developed by Professor John Hermon-Taylor of King’s College, London. Filmore & Union are donating 50p from every fresh juice – which is made from beetroot, pineapple, apple and ginger – to the Crohn’s MAP Vaccine and hope that it will go some way to helping Hannah, who was diagnosed with the disease at just 10 years old, and her family with their fundraising. MAP (Mycobacterium avium Subspecies Paratuberculosis) is a bacteria that is thought to be the cause of Crohn’s Disease by Professor Hermon-Taylor as well as other leading scientists. With the right diagnostic test, 100% of Crohn’s Disease sufferers are found to have a MAP infection; their immune system does not recognise the MAP bacteria and the vaccine works by simply telling their bodies to recognise and fight the bacteria. The MAP vaccine has been trialled 100% successfully on animals and the Professor and his medical team are trying to raise funds to continue their work and bring the vaccine to human trials, which could ultimately prevent, treat and cure Crohn’s as well as save lives. Filmore & Union will also be hosting a charity dinner in September, which will be organised with Hannah and her family, to raise further funds for the Crohn’s MAP Vaccine.